Posted January 10th, 2019 & filed under All About Foods. Cooking enough rice or pasta per person and the right way – as everybody wants to cook just the right amount of it. Cooking time of rice: 15-20 min. Boil water and add salt. For every cup of rice, use 1 cup of water. Boil the water in a large saucepan with a fitting lid and add 1 tsp of salt to the water. Pour the rice into the boiling water. Stir the rice just enough to separate it. Cover the pot and let the rice simmer. It is important not to keep stirring the rice. Let it simmer for about 15-20 minutes on low heat and then remove it from the heat and let it steam for about five minutes. 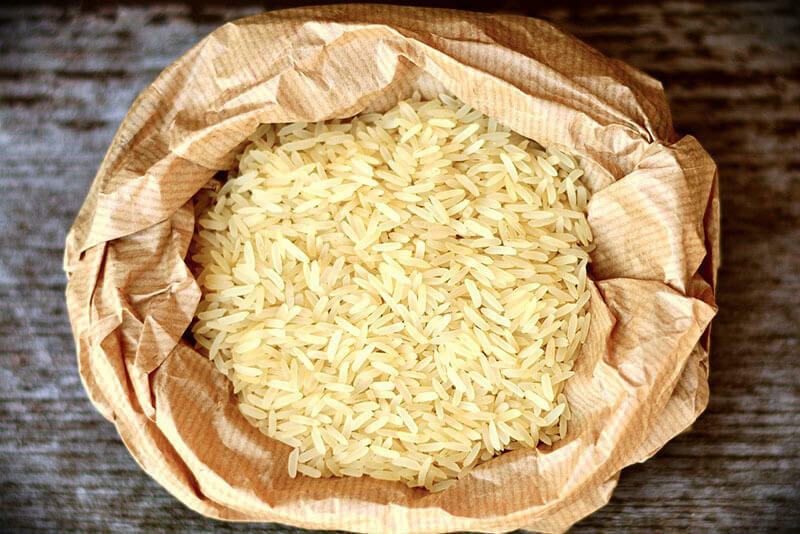 When it comes to measuring rice per person, you should count around 80-90 g (1/2 cup) of dry rice per person, or around 60 g (1/3 cup) per person when rice is considered a side dish or you’re preparing a lot of other dishes. Cup and a half of dry rice should be enough for a family of 4. Portions of cooked rice are 100 g for women and 130 g for men. About 500 g of cooked rice is enough for a family of 4. Cooking time of pasta: vary a lot – 4-15 mins. Use a large pot to boil about five or six quarts of water for a standard package of pasta. Salt the water with at least 1tbsp of salt. Once your water is boiling, add the pasta. Keep stirring the pot. 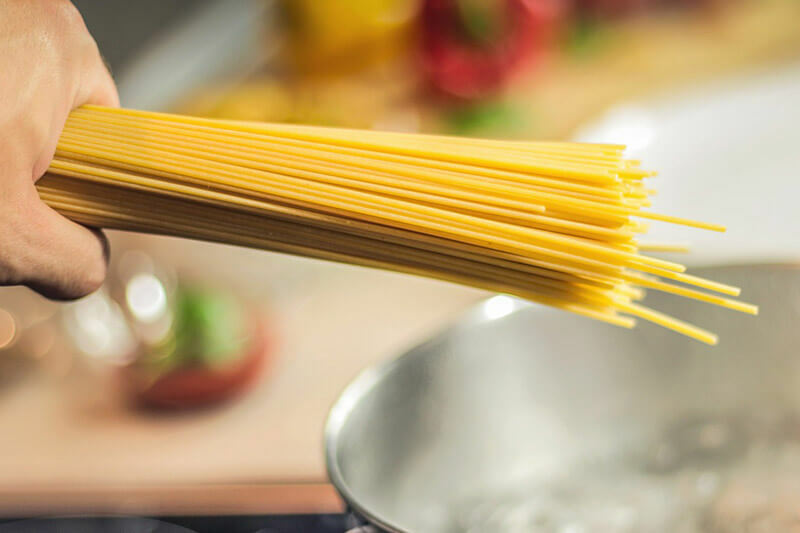 Most kinds of pasta have cook times on their packages but check if it is cooked about 2 minutes before the time is up. Save some of the pasta water for sauces that you might use later. It breaks thick sauces perfectly because of the starch. Drain, add the sauce and enjoy your meal. Portions per person are in general 75 g for dried pasta per person, 115-150 g fresh pasta per person or around 110 g for women and 140g for men for cooked pasta. Around half of pack (0.5 kg) is enough for a family of 4.